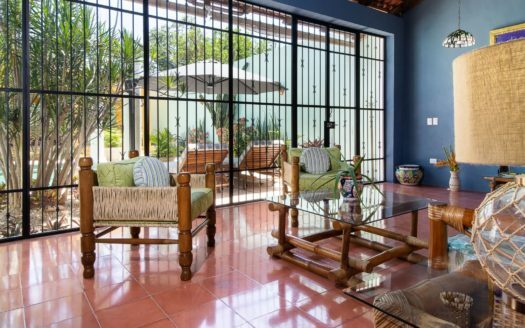 This is the most romantic rental property in Merida Centro. 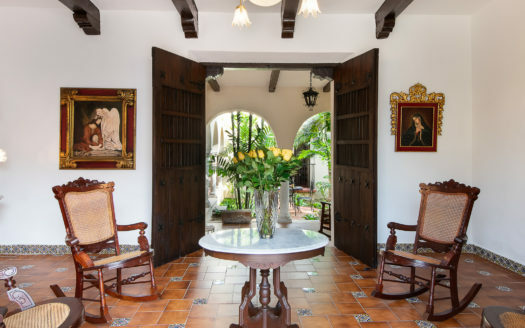 Please consider Casa Cortile for your honeymoon, anniversary or any other very special occasion, or turn your next vacation into a special occasion with a stay in this amazing home. Two bedrooms, one and a half baths, a heated pool and a lovely roof top sun terrace are only the beginning. Even before you open the door, the block of homes which Casa Cortile shares is the most beautiful in Merida. The facades are classically Colonial and flaunt the beauty of Merida’s glory days. 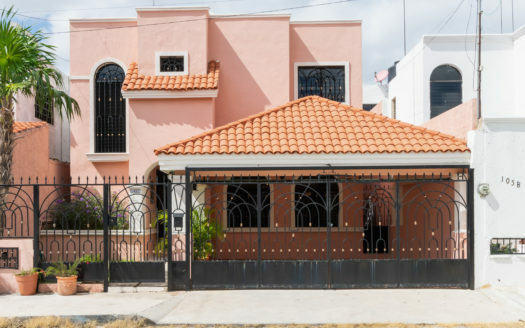 It was from homes such as this that the henequen barons of the 19th century accumulated enough wealth to make Merida, per capita, the richest city in the world. Walking through the front door is like stepping back in time to a place of beauty and architectural details you would never find in a modern house. Yet Casa Cortile is also completely modern and comfortable to 21st century standards. Both bedrooms are amazing, but the master suite at the rear of the pool is simply stunning. 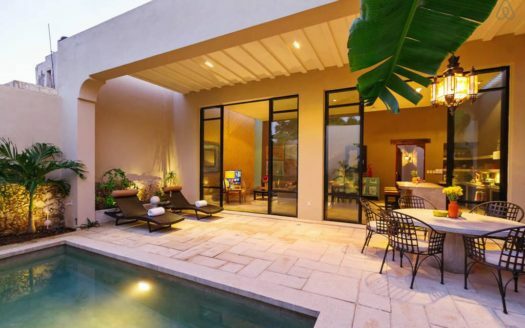 The nighttime view from this bedroom to the pool will make you pinch yourself to remember you are in Merida, only a two hour flight from Houston, Texas! Both bedrooms have fans and air conditioning. The outdoor living room/dining room/kitchenette is placed at the opposite end of the pool and garden and shares the beautiful view. This isn’t the rental home for gourmet chefs who wish to cook in every evening, but is perfect for romantic travelers who want luxury, privacy and all the amenities of the best of hotel suites.